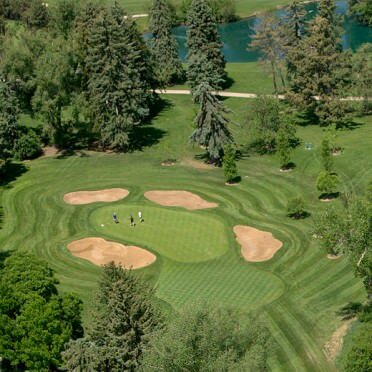 Denver Country Club was was the first club west of the Mississippi to be admitted to the United States Golf Association in 1896. The private club features an 18 hole course originally designed by James Foulis. The course has 3 sets of tees for different skill level and measures 6798 yards from the longest tees and measures 6798 yards from the longest tees. Exit I-25 at University Boulevard. Go north to 1st Avenue. Turn left (west) and watch for entrance on the left. Dress Code: Men and boys must wear appropriate collared golf shirts and golf trousers or Bermuda length shorts.